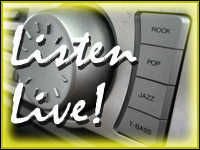 CHIM FM broadcasts online so you can listen from wherever you are! Click here to tune in or download the Google Play app here. CHIM is now also broadcasting at AM 1710 in Timmins. With the convergence of three technologies, the internet, live radio streaming and cell phones/ other portable listening devices, plus our new AM transmitters, CHIM Radio now has a world wide platform which far surpasses our previous delivery capabilities. There is now live internet streaming world wide so people can enjoy listening to CHIM Radio in their homes, vehicles, cottages or at the beach. This new method of delivery is not under CRTC jurisdiction so therefore we have a lot more freedom and are now able to offer a much bigger range of programming.